Evergreen Turf, established in 1987 by Fanus and Hantie Cloete, is today recognised as the largest supplier of instant lawn in the Southern Hemisphere. Due to the ever growing need for quality instant lawn, Evergreen Turf began to produce and supply various types of instant lawn to both domestic and commercial markets. Our client base speaks highly for itself including numerous giants from a wide variety of industries. Evergreen Turf currently has 450 hectares of lawn under propagation at our farms in Gauteng (Johannesburg and Pretoria). 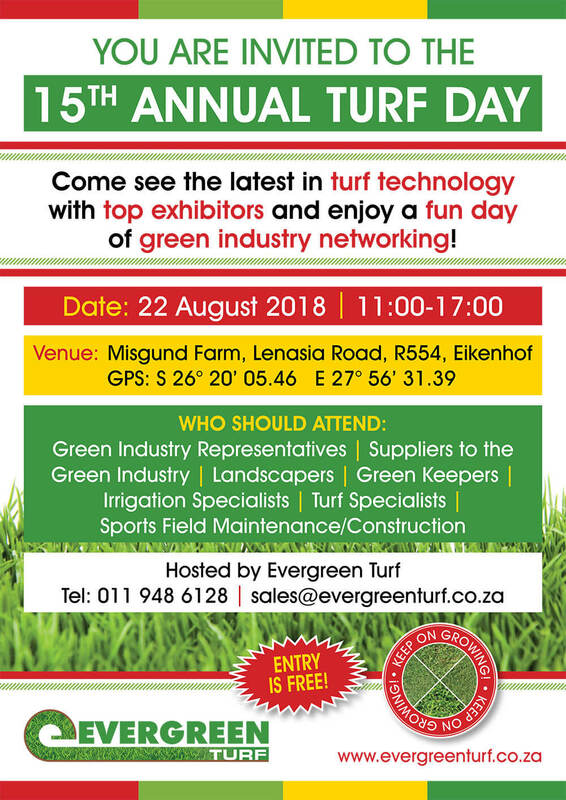 Evergreen Turf is a member of the South African Landscapers Institute, Turf Producers International, Turf Producers Australia and the Landscape Irrigation Association of South Africa and has received numerous awards for our excellence in producing and supplying of specialised turf . The company owns the latest, modern mechanical equipment used for harvesting, producing and supplying, some being the first of its kind in the country, allowing Evergreen Turf to be a cut above the rest! Evergreen Turf employs staff with a variety of expertise enabling us to provide a professional service to our customers and are continually at the forefront of developing new processes to produce and suply Instant Lawn in a more efficient and cost effective way. 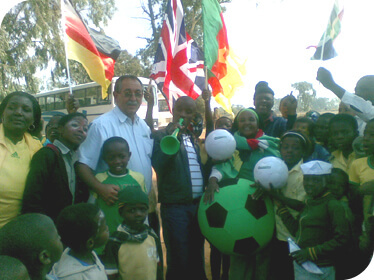 We are the proud suppliers to numerous stadiums being utilised during the FIFA 2010 Soccer World Cup in South Africa. The Evergreen Group has adopted Vlakfontein Primary School in Gauteng. This initiative, led by chairman of the group, Veli Mokoena, has resulted in landscaping and irrigation being done at the school, followed by the construction of sports and soccer fields for their benefit. Evergreen Turf donated lawn to the SAPS in Douglasdale for their Trauma Unit in association with SASFIN Bank Limited. The aim is to provide a peaceful environment where victims can be treated. Evergreen Turf assisted the NET HIV/AIDS Youth Project by providing them with lawn for their playground at their premises in Sweetwaters. Evergreen Turf provided lawn for the school to allow the children to have somewhere to sit or play during their lunch break at school. Evergreen Turf provided lawn for the Children’s home. Evergreen provided lawn to the Othandweni Primary School for their garden. Evergreen Turf assisted Tshepand Primary school by making our product more affordable in terms of their budget available. Evergreen Turf assisted Finetown Primary school by making our product more affordable in terms of their budget available. Evergreen Turf together with other organisations assisted with the makeover of Diepkloof Memorial Park.